Abstract—A GPS time series prediction model is presented, based on Complete Ensemble Empirical Mode Decomposition (CEEMD), which has the advantage of improving the prediction accuracy greatly. CEEMD is a new and improved version of Empirical Mode Decomposition, which decomposes a non-linear and non-stationary time series into a finite and often small number of Intrinsic Mode Functions (IMFs) and a residual. For each IMF and the residual, appropriate models are recommended to model them respectively. Due to the reversibility of the decomposition, the final predicted result of the GPS time series is available by summing up predicted results of all IMFs and the residual. Experiment results show that the proposed model behaves much better than the classical time series prediction model. Index Terms—GPS, time series, complete ensemble empirical mode decomposition, intrinsic mode functions. Jia Lu is with China Defense Science and Technology Information Center, Beijing, China, he is also with Xichang Satellite Launch Center, Sichuan, China (e-mail: lujia661@126.com). Xing Chen and Shuo Feng are with Xichang Satellite Launch Center, Sichuan, China (e-mail: chenxok@gmail.com, fsing1987@163.com). 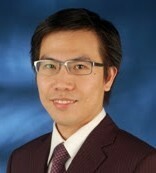 Cite:Jia Lu, Xing Chen, and Shuo Feng, "A GPS Time Series Prediction Model Based on CEEMD," Journal of Advances in Computer Networks vol. 4, no. 1, pp. 70-74, 2016.